Trustworth­y, Female Pest controller­, NZ Approved handlers certificat­e and member of Pest Network associatio­n. Available Monday to Saturday during working hours. Outside these times is open to negotiatio­n. I am an owner operator of my business, hence I takes extra care ensuring everything is left inside the home as it was with no mess. Providing a service to eradicate your home or workplace of pests and providing peace of mind for you and your family. Yes you will see the photo shows the rat boxes comes with a free CAT....but no he is a much loved member of the family and is retired now. Reach out to a few pest control services on TradeMe. I found Helen to be very informative and genuine, she took the time to explain the process and provided a very good price. Would recommend her to friends and family for sure. At our wits end, we'd tried to solve the situation ourselves but it took bug lady's expertise to get us sorted. She explained vermin behaviour and supplied us with practical solutions and equipment. Such a relief to be rid of not just the pests but what they leave behind, if you know what I mean. Thanks for getting rid of those nasty's around the house! 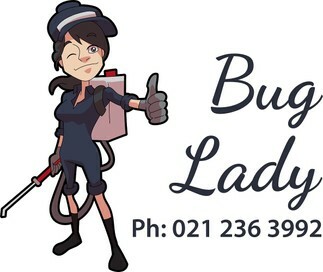 Rang a few other companies and liked the BUG Lady as found she was so caring and took the time to explain everything to me. Did every thing as promised and also quite reasonable price to. Highly recommend to any one!! !